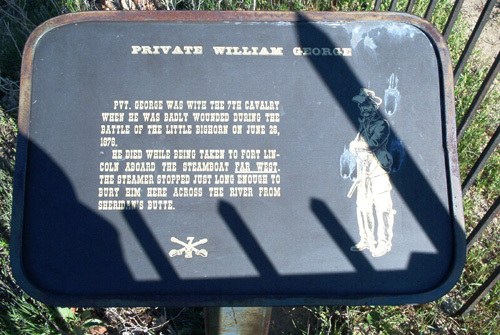 Private William George was wounded in his left side during the hilltop fight on June 25, 1876. He died aboard the steamer Far West on July 3, 1876. Pvt. 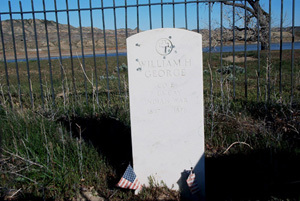 George's grave was originally located close to the Yellowstone River where they buried him on July 4, 1876. He was re-interred at a location a little higher up from the river at a later time. 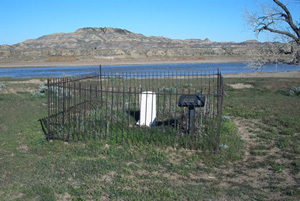 His grave is on private property and is attended by a local women's group out of Terry, Montana.